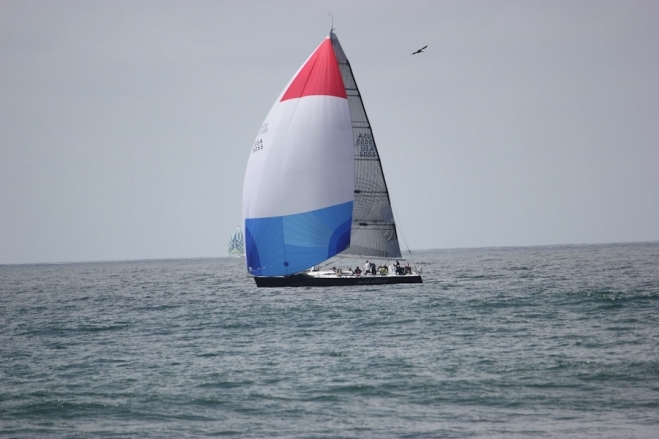 April 27th marked the date of the annual Newport (CA) to Ensenada yacht race. The two sailboats pictured above were passing near the beach of San Miguel village just north of Ensenada, on their way to the finish line. Jose P. our plant manager was at the beach practicing surfing for an upcoming competition when he took this picture. While the race took place several weeks ago and is no longer news, the mystery remains how a race participant, the 37 foot sailboat Aegean, ended up in pieces on one of the Mexican Coronado Islands located 8 miles offshore of Tijuana. All 4 crew members perished. In previous blog entries below, the topic of freeze-drying is covered. The next step after the raw material is dried, is to turn the dried particles into powder. 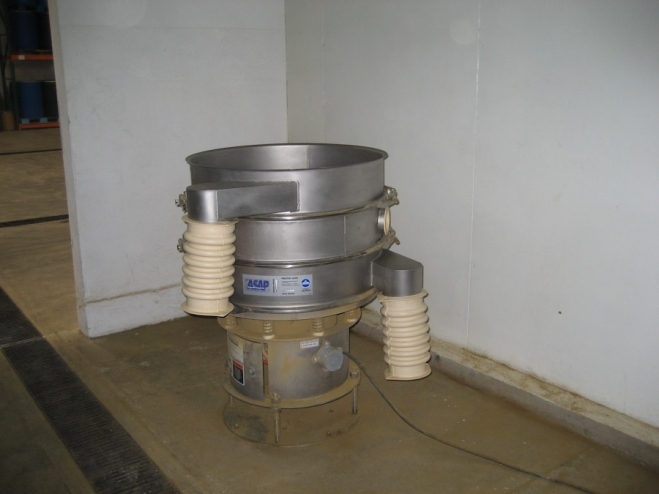 After freeze-drying, the granular raw materials are delivered to the grinding room. 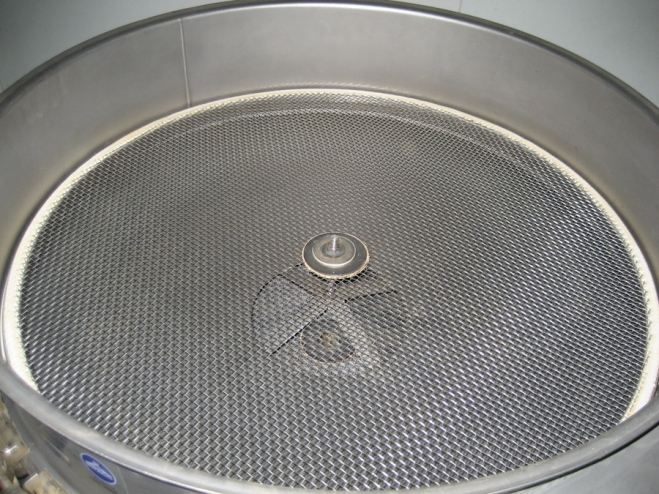 Before entering the grinder, the dried particles are first separated by size by passing them through the shaker screen shown above, which has a series of coarse and fine screens that vibrate and discharge the particles trapped on each successive layer. This size separation allows the powder grinder to operate more efficiently by receiving a more uniform size of particles. From this point the process is entirely automated and computer-controlled. The raw materials are fed into the hopper in the above photo. The conveyor belt turns on and off by automatically by sensors that maintain the exact flow of dry product into the top of the large stainless steel grinder. Too much product flow and the grinder machine may overheat. Too slow of a feed, and the machinery would be working at less than capacity. Seagate’s grinder uses a high-speed rotor spinning at 3600 rpm’s which quickly breaks down the particles entering the grind chamber as they are beaten against a fine stainless-steel screen. The final particle size of the powder is in the range of 100 to 200 mesh, which is much smaller than a grain of sand. Depending upon the material being processed and its hardness, this grinder operation will produce approx. 500 kgs of finished powder per 8 hour shift. At times, the particle size becomes so fine, that a fine mist of particles escapes the chamber and settles on the machinery and all over the room. This is a normal feature when processing very fine powders. The powder is finally collected using a series of cyclones and fine filters. The cyclones trap the powder by centrifugal force against the outer wall of their chambers, separating the powder from the high flow of air also discharging from the grinder. The powder being collected in the above photo is olive leaf extract. The photo of the week is a wreck of an unknown fishing boat taken at night at 65 ft. water depth. Nighttime underwater photos of sunken wrecks project an eerie feeling that they may still be inhabited by its ghostly crew.